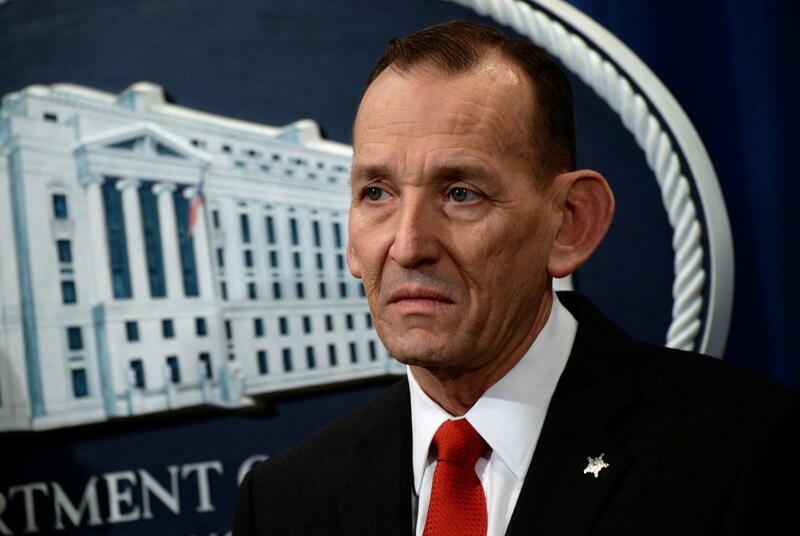 WASHINGTON, April 8 (Xinhua) -- The White House said Monday that Randolph Alles, director of the U.S. Secret Service (USSS) "will be leaving shortly." "Mr. Alles will be leaving shortly and President Trump has selected James M. Murray, a career member of the USSS, to take over as director beginning in May," White House Press Secretary Sarah Sanders said in a statement. The confirmation came after U.S. news outlets reported the personnel change earlier in the day and one day after Secretary of Homeland Security Kirstjen Nielsen exited the administration. It is unclear the immediate reason for Alles' exit, some reports said it was part of a shakeup at the Department of Homeland Security, while other outlets suggested that the departures were unrelated. Alles, 65, has served as the director of the U.S. Secret Service since April 25, 2017. He has previously served in the U.S. Marine Corps, where he reached the rank of major general.